WASHINGTON — Veterans Affairs Secretary David Shulkin insists a limited expansion of his department’s caregivers stipend program could save the federal government around $2.5 billion annually. But the up front costs of the plan still present a major obstacle for congressional lawmakers. On Tuesday, the House Veterans’ Affairs Committee renewed debate on the issue of VA’s caregiver program, which awards living stipends — totaling up to several thousands of dollars a month — to the families of veterans who require around-the-clock home care. When lawmakers created the program in 2011, it only covered veterans of the post-Sept. 11 era. For much of the last year, Shulkin has advocated (along with veterans groups) that the program should include other generations of veterans as well, especially as they age and require new medical care. Lawmakers in both the House and Senate have been supportive of the idea, but not necessarily the cost. Senate lawmakers have suggested a rolling expansion of the stipend program that the Congressional Budget Office says would require $3.4 billion in new funding over five years, money that would require offsets under House rules. “No veteran and no caregiver from any generation is well-served by having access in name only to a program that has the deficits this one does and is as ill-prepared as this one is to accept a sudden influx of new beneficiaries,” said committee Chairman Rep. Phil Roe, R-Tenn. He noted past VA underestimates estimates on eligibility and usage of the stipend program, which currently serves about 26,000 caregivers at a cost of around $400 million. 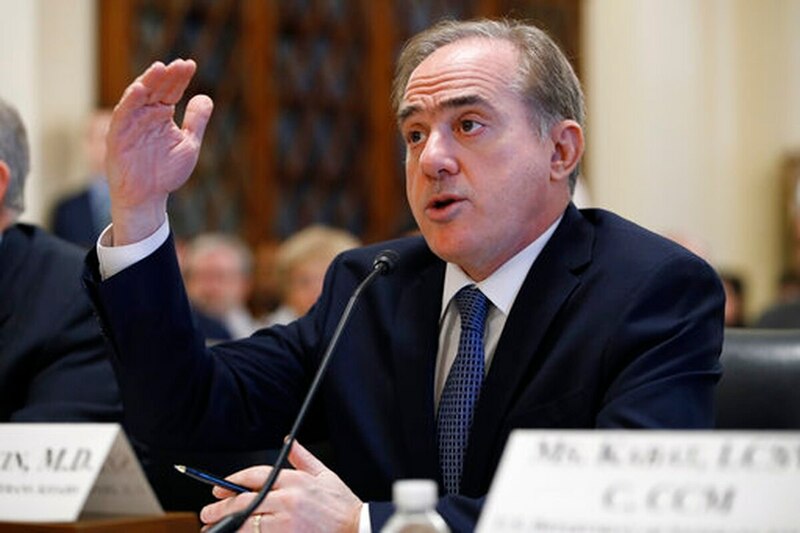 Shulkin acknowledged that a simple expansion of the existing program to all veterans would likely swell the participants and cost sevenfold, to more than 180,000 caregivers. He is supporting expanding the program to only the most severely injured and incapacitated veterans, which would add around 40,000 new stipends. That move, he said, could save the department $2.5 billion a year by the late 2020s, through reduced nursing home and medical assistance costs. Current recipients would be grandfathered into the program. Democrats on the committee, who have largely looked past the cost issue in the debate, framed the expansion as another opportunity for “choice” in veterans medical care, an echo of the president’s promises to give veterans more flexibility in private-sector care options. And veterans groups framed the debate as one of basic fairness, calling the cut off date for eligibility in the program arbitrary and unfair. Veterans groups have been opposed to most funding trade offs for a caregiver expansion, and Democrats have blasted Republican colleagues for adding to the national debt with tax cut legislation but lamenting the costs of critical veterans programs. Roe promised more deliberations on the issue, but not any quick fixes. The Senate expansion plan — coupled with a community care overhaul expected to cost tens of billions more — has seen little support in the House thus far, and remains stalled in the Senate chamber. Meanwhile, lawmakers from both parties said VA officials must continue work on the current program to ensure better delivery of existing benefits. Non-monetary support services are available to caregivers from every war generation, and current stipend recipients have complained about processing and changing eligibility problems with the current system. Shulkin said work is being done to address those complaints, including some program changes that do not require legislative intervention. But he also said those reviews should not slow down progress on future expansions.